Aldar Properties on Wednesday unveiled the launch of a new waterfront development, Lea, on the northern shores of Yas Island. The project offers land plots starting at AED 990,000 and sizes ranging from 405 square metres to 1,800 square metres, Abu Dhabi’s largest property developer said in a statement. The new plots will be available for purchase by all nationalities, sales will commence at Cityscape Abu Dhabi, running from 16 to 18 April. “Lea represents a fantastic opportunity for any purchaser to buy land and build their dream home on Yas Island. 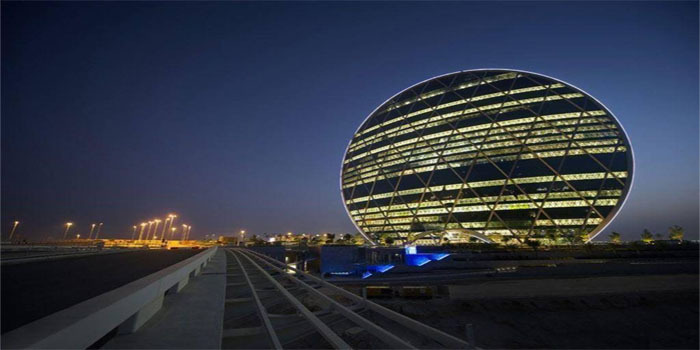 We know that there is pent up demand for this type of product, and the runaway success of Alreeman – generating AED1.6 billion in sales – supports that,” Talal Al Dhiyebi, CEO of Aldar Properties, commented. Lea features 238 residential plots in a prime location adjacent to Aldar’s flagship Yas Acres project, Lea boasts parks, promenades, and waterside walkways, the statement added. Residents will benefit from all of the amenities within Yas Acres – parks, swimming pools, play areas, bbq and picnic areas, schools, mosques, and the Yas Acres full-length nine-hole golf course. “Combining the opportunity to acquire land with all of the attractions and amenities of Yas Island is a hugely compelling proposition that no-one else can offer. We look forward to launching sales for Lea at Cityscape when the spotlight can really shine on what makes Abu Dhabi such an attractive place for investment,” Al Dhiyebi added.